Maybe this won’t mean much to most people, but this will mean something to some of you. 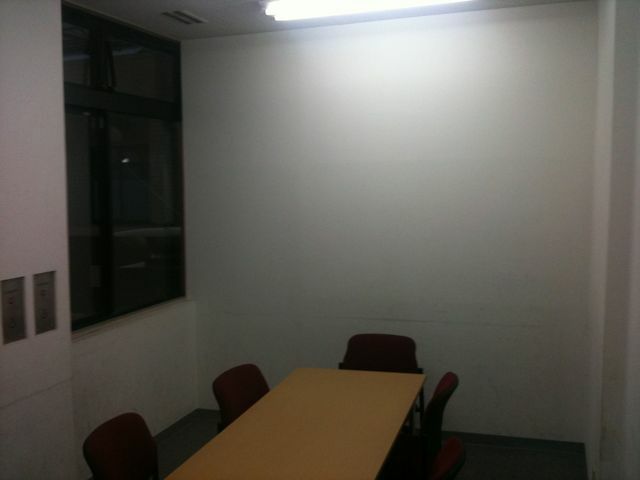 My last look at the room I’ve spent over 3 years working in. Thanks classroom. Will miss you. I took these two pictures on Monday evening near sunset. 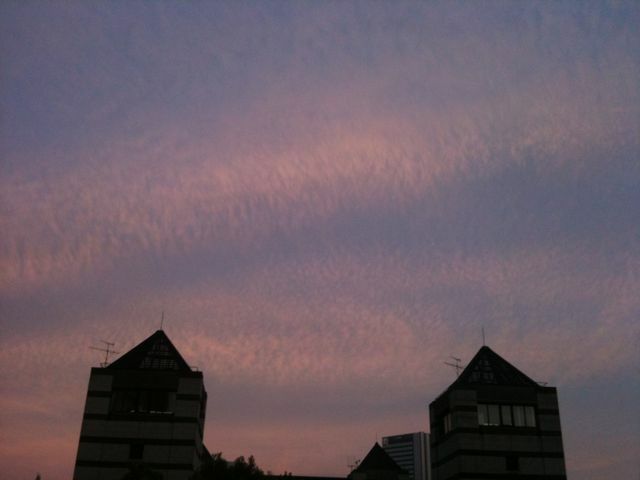 The clouds looked like waves in the sky. These pictures don’t do the cloud waves justice. I took these pictures at Minato Mirai. 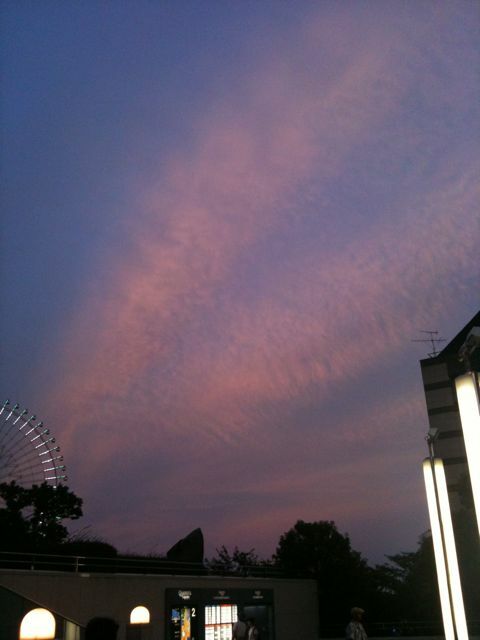 The clouds are wavy over Minato Mirai! This building is one of the newest buildings in the Minato Mirai area, TOC Minato Mirai. It’s next to Sakuragicho station, and was completed this year. 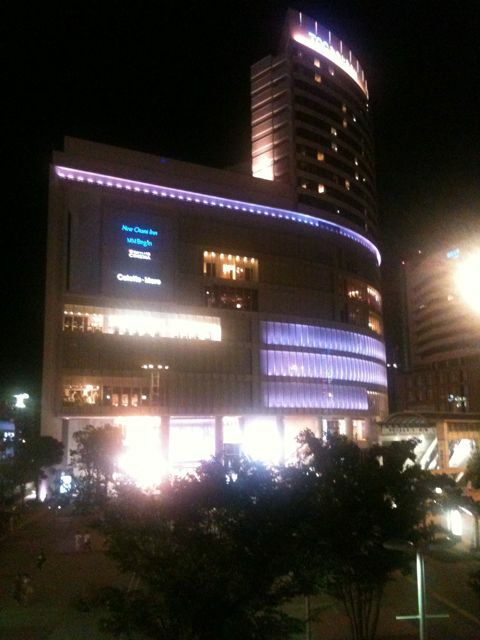 It has a shopping centre, restaurants, hotel and a 13 screen movie theatre. This is TOC Minato Mirai, or Colette-Mare, a new building in Minato Mirai. It’s the 10th week of doing Picture of the Week, and I haven’t missed one yet. 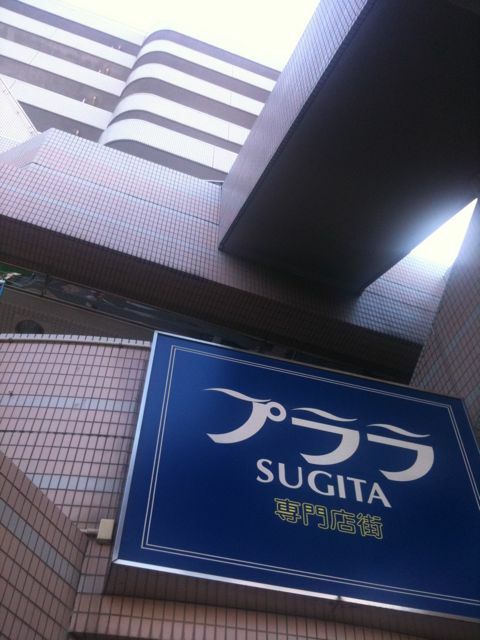 Here is a picture of Sugita’s Plala shopping centre, which also has a condo building on top. It looks like tomorrow will be beautiful. The forecast is for hot and sunny weather for the foreseeable future. 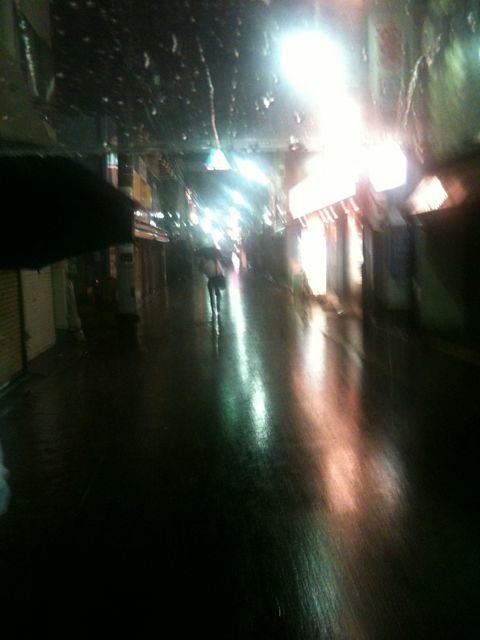 But tonight, it’s raining so heavily, I’m very wet. I took these pictures with my iPhone. 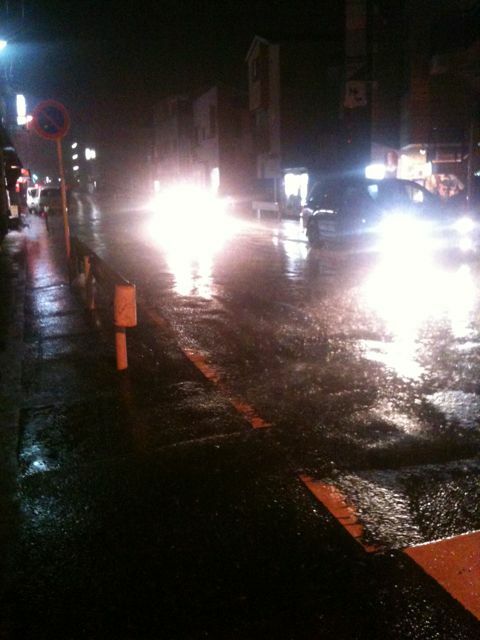 It's raining on the cars! It's raining under the lights! 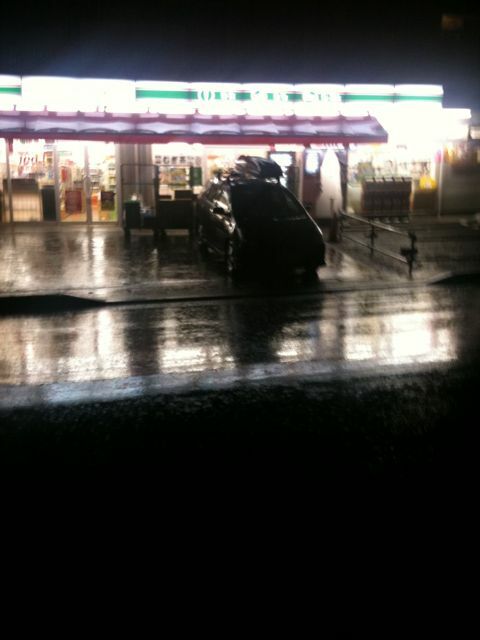 It's raining on the convenience stores! 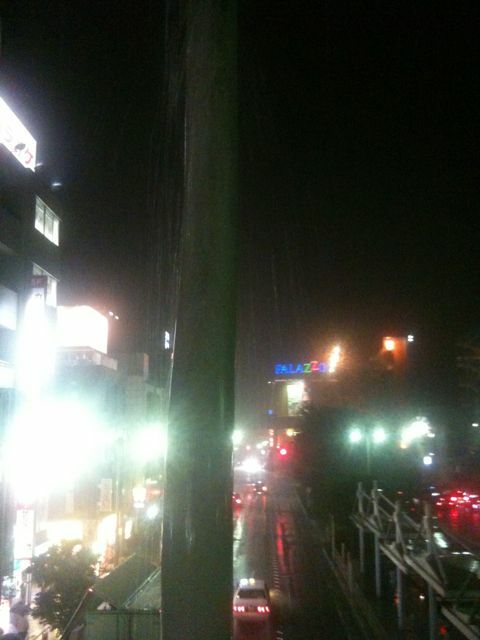 Rainy season ending? I heard a cicada! Many things are pointing to the end of rainy season this week. First of all, I could actually hear a cicada outside today. Cicadas don’t like rainy weather. They’re out when it’s hot and sunny, and the time after rainy season is the best for them. Second, I checked a few weather forecasts (they all seem to give different conditions), and most of them are indicating very hot and sunny weather later this week and next weekend. That’s about 32 or 33 degrees. That’s post-rainy season weather. This means that for the next 2 months, it should be around 32 or 33 degrees and sunny nearly everyday with the occasional heavy rainfall due to typhoons. Aren’t we all excited? 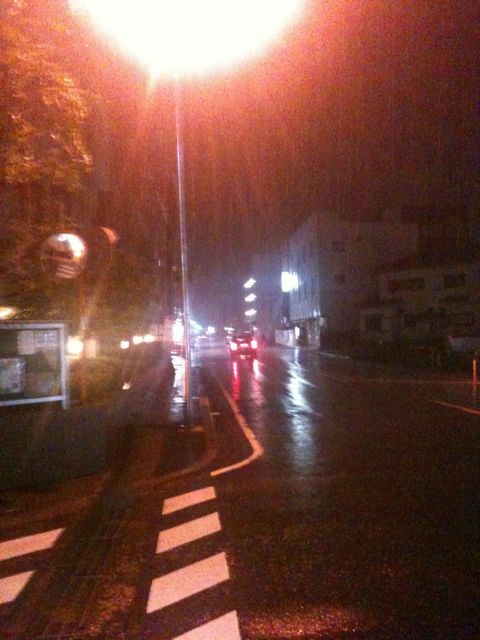 Of course, rainy season isn’t over just yet. Still lots of rain is forecast for the next couple days. 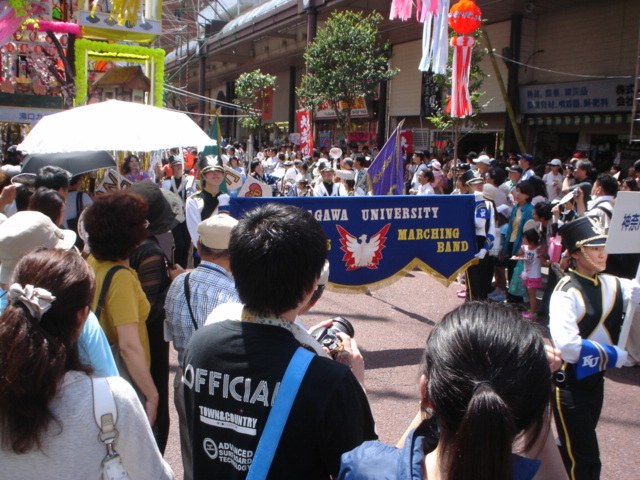 On July 4th, I attended the 2010 Shonan Hiratsuka Tanabata Festival in Hiratsuka, Kanagawa. 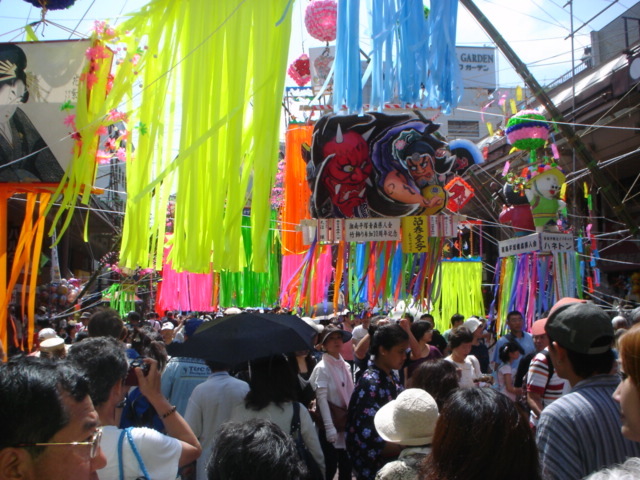 This festival is the largest Tanabata festival in the Kanto region of Japan, and is 4 days long. It begins on the first Thursday of July. 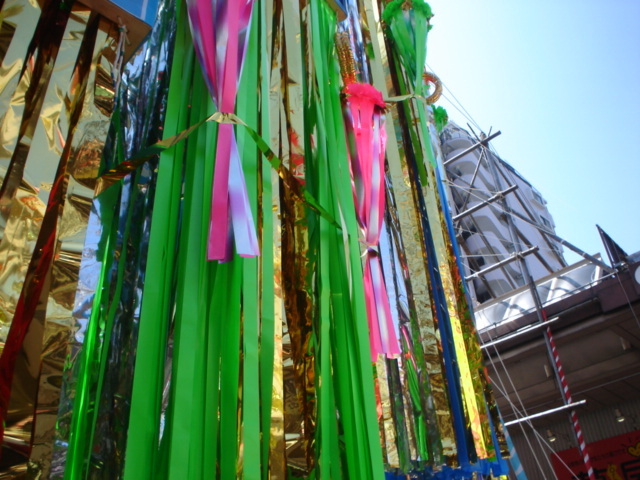 Tanabata for much of Japan is on July 7th. 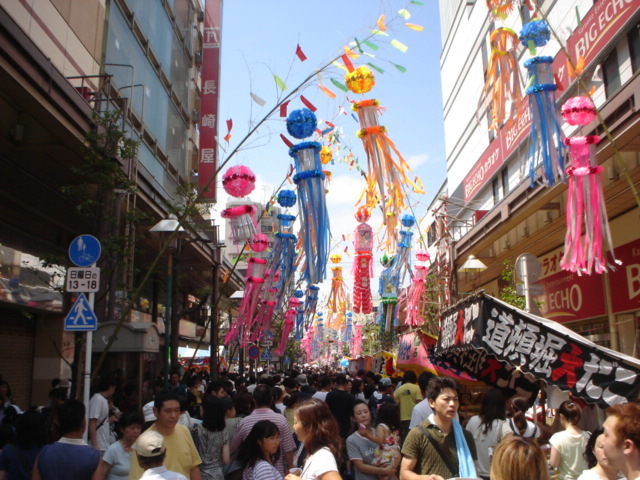 The festival, which is also known as the Star Festival, celebrates 2 legendary figures, Orihime (the star Vega) and Hikoboshi (the star Altair). The Milky Way, a river of stars, separates these two lovers, but they are allowed to meet only once a year on the 7th day of the 7th month. For more information, please read about it on Wikipedia. I attended on a very hot and sunny day. It was about 32 degrees, so quite uncomfortable in the sun. But it was great weather to get some pictures. 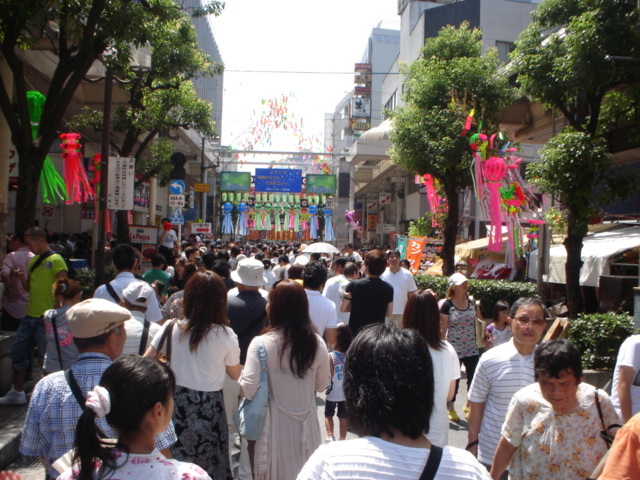 The festival is held on the north side of Hiratsuka station, and was very easy to find. Just follow the crowd! Enjoy the pictures. 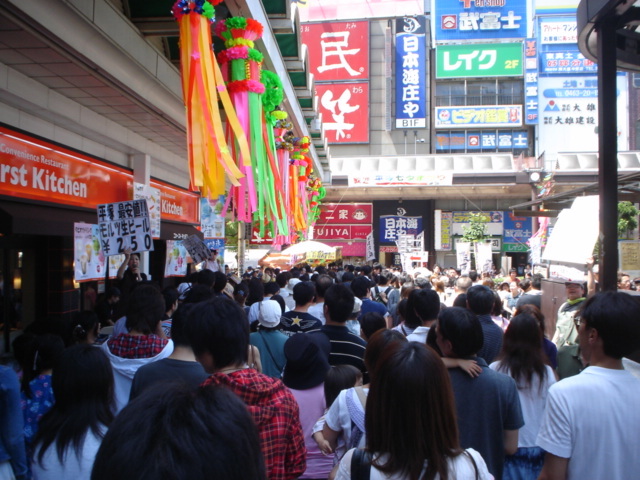 Just outside Hiratsuka station, it's very crowded. 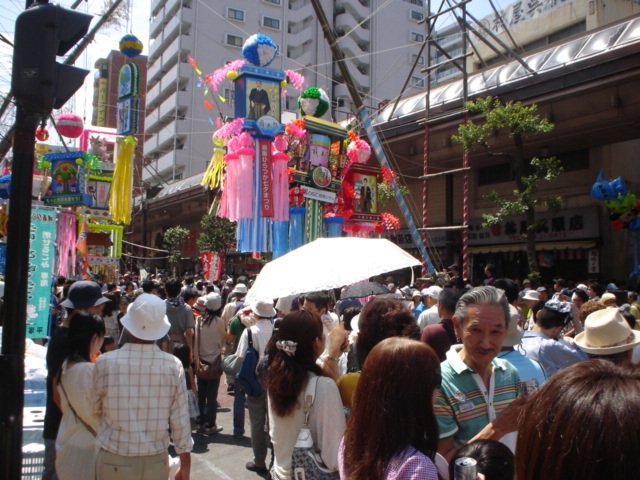 The festival was very nearby. 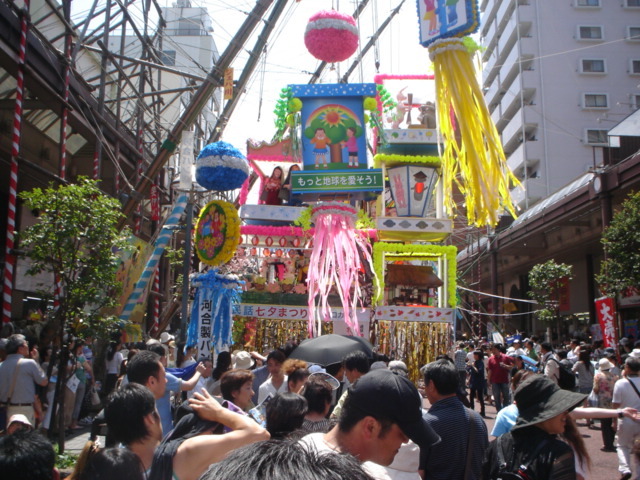 There are very colourful decorations above the crowd. More colour and more crowds. 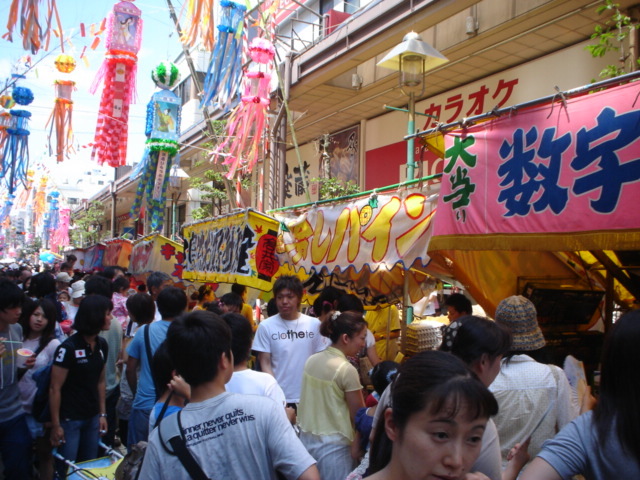 There are many food vendors at the festival. I had jagabataa (potato and butter). Here are more decorations to enjoy. There's a large variety of decorations. 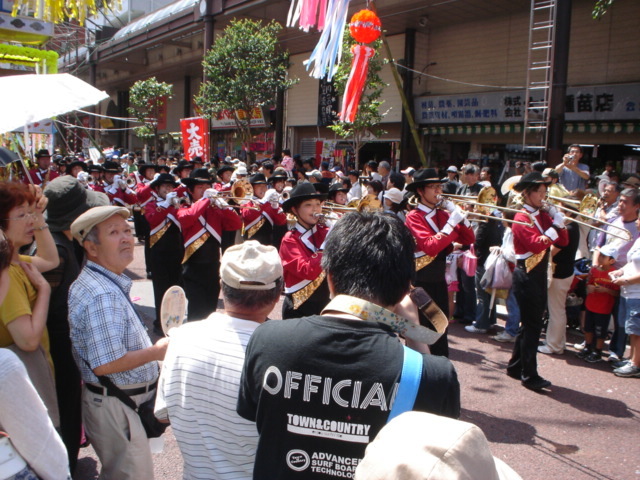 At the festival, there were several marching bands from universities. Here's the first one. Here are two girls in front of their university's marching band. And here's a third marching band. 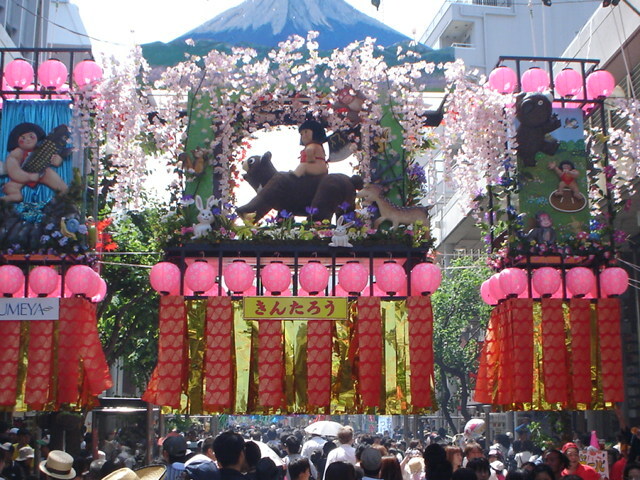 A closeup of some decorations. A final look at some more decorations. It was very colourful. I hope you enjoyed the pictures. 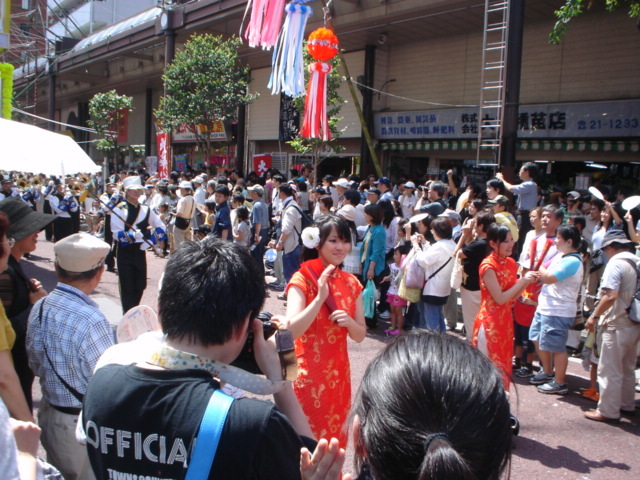 Have you been to this festival before?